WEM was founded in 1986 with a very specific vision in mind. Goals established by the Founder and her husband for their own child became the goals of the school. The experiences of her own child in a Montessori classroom made the mission clear. From the Director, Joseph Galante. M.Ed. The vision of WEM, the original three goals of the school symbolize exactly how I was raised; with respect for self, respect for others and a respect for the environment. My personal compelling purpose, the very reason I commit myself to this work is synonymous with WEM’s original vision; that “All people experience social justice as a human right, and demonstrate respect in our world.” It is the human right to experience self-respect, the self-awareness that enables respect of others, and the education that results in the care of the environment. For me, respect for self, others and the environment are the pillars of social justice. Each staff member is accountable to experience and model the same for our students, our parents and each other. WEM is a school that prepares students to be agents for change in the world, in whatever they may be called to in their future. From the Founder, Dianna Galante. M.Ed. Drawn to studies in Cultural Anthropology, Environmental Science and Social Psychology as an under graduate student, it is no surprise that when my husband and I decided to have a child, we set parental goals for ourselves to nurture respect for self, others and the environment in our child. When this child was three years old, research of available early childhood programs brought us to Montessori education. So impressed was I with this philosophy and methodology that I abandoned my career and began study to become a Montessori certified teacher in 1981. Five years later I found myself starting Whole Earth Montessori. At this time, Kathy JauJou, our current lead upper elementary instructor, was our son’s second grade Montessori teacher. Kathy is still with us today. And again, no surprise, the goals for the students in the school were established to be: Respect for self, respect for others, and respect for the environment. As the school grew, so did the need for further credentials to meet the parental demand for an elementary program. This led me back to Seattle University for a Master’s degree in education, a Washington State teaching certificate and the Montessori Elementary-I credential. Having lost the school lease in the second year at our previous location the search began for the perfect site for WEM. A natural setting with stream and wooded area was the goal. It took three years of searching, but in 1990, the school moved to its present location, funded by our son’s college fund, which was just enough to make the 10% down payment. The whole family worked hard that summer to add 12’ to a two-car garage and convert it into an early childhood classroom and to prepare the residence to become an elementary classroom. It had taken 13 months to go through the process of obtaining a Conditional Use Permit and Commercial Building Permit from Snohomish County, but at long last on October 1st, 1990 classes opened on the present site. Two years later with increasing demand from the community, it was back to Snohomish County and the City of Bothell for hearings and commercial building permits to convert the historic barn into an additional early childhood classroom. Through this time frame, our 13 – 16 year old son worked as my assistant during the early childhood summer program. After the sudden passing of my husband in 1999, my future and the future of the school was uncertain, but the groundwork for our son’s career in education had been laid. Having already earned a Master’s degree in Education, he made a commitment to continue the work that had begun in his early childhood. 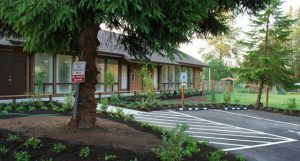 In response to parental demand for expanding the Whole Earth program to higher grades, in 2002 an application was made to the City of Bothell to build a new classroom building, adding two additional early childhood classrooms. A broader base at the Early Childhood level was deemed necessary on which to build the school into higher grades. It took 2 ½ years to obtain a revision to the conditional use permit allowing additional students and another 2 ½ years to obtain the commercial building permit. The process was extremely expensive in terms of time, money and energy. As with the initial process to develop a site for the school, the entire project was personally funded by our family. After a difficult 5-year process, on September 1st, 2009 the school obtained a Certificate of Occupancy just in time for the first day of school on September 2nd. The struggle was worth it. In the end we had added two additional Early Childhood classrooms in a GREEN building heated and cooled by 1-mile of underground geo-thermal coil and a 16-panel 3.20 kWp pole mounted solar panel that produces electricity, which is donated back to the local power company. The foundation upon which to grow the school is in place. I feel secure in knowing that the goals of Whole Earth Montessori that were based upon my personal values will carry on. Now the Head of School, our son Joe was nurtured in these very values, and having had his own successful businesses in Automotive Design and Marketing, together with a background in Montessori and teaching at the high school and college levels, Whole Earth will continue for years to come.